Apple on Wednesday officially unveiled the latest additions to their iPhone lineup, debuting two OLED models, the 5.8-inch iPhone XS and the 6.5-inch iPhone XS Max. The new models sport the same design as the 2017 iPhone X, not surprising, as this is an “S” model year. 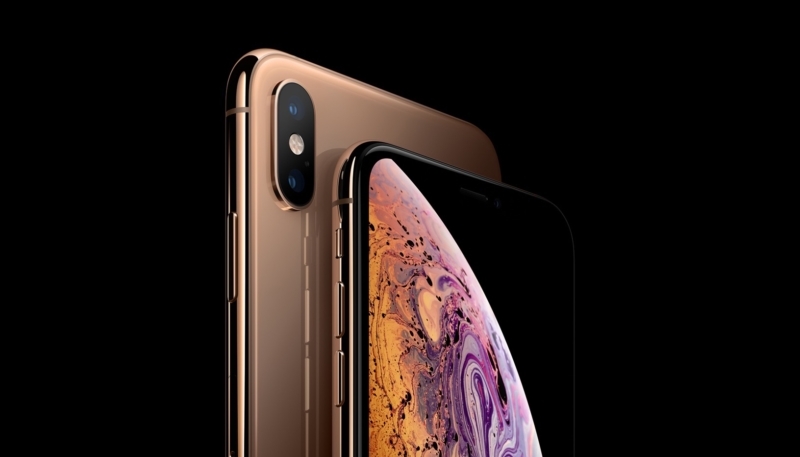 The iPhone XS models boast an edge-to-edge OLED display, smaller bezels, and the expected “notch” on the front to accommodate the front-facing TrueDepth Camera system. Both devices feature Super Retina Displays, a faster and improved rear-facing dual camera system, and is powered by a 7-nanometer A12 Bionic chip, which boasts a next-generation Neural Engine. Both XS models also include faster Face ID, improved stereo sound, and a Dual SIM system. The new handsets offer an OLED display, which supports Dolby Vision and HDR 10, allowing viewing of content in both popular HDR formats. The iPhone XS Max’s display offers 3 million pixels of viewing goodness. The iPhone XS Max’s display is the largest display ever seen on an iPhone. However, the overall size of the device is close to that of the iPhone 8 Plus. The glass used in the display is said to be the most durable glass ever in a smartphone and offers improved scratch resistance. The band around the device is the same stainless steel finish found on the iPhone X, and the back is made of glass and allows for wireless charging. 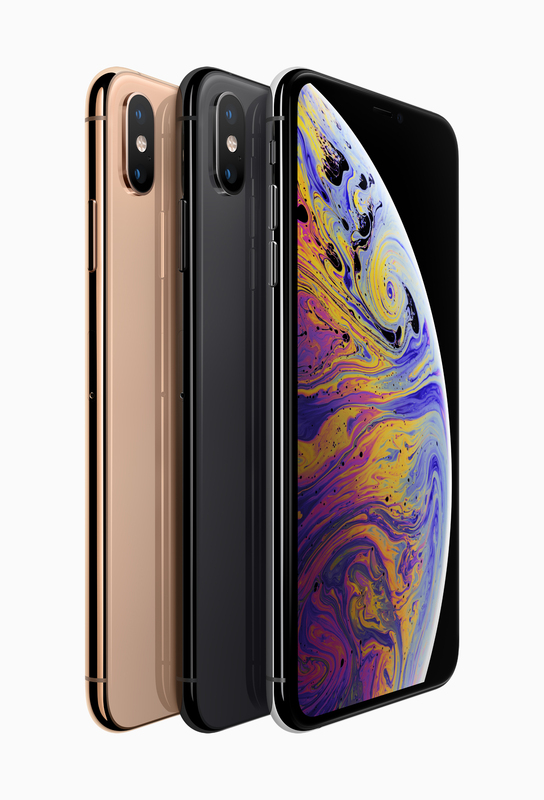 Both iPhone XS models offer IP68 water resistance for up to 2 meters for 30 minutes of being submerged. The A12 Bionic chip powering the new iPhones features a six-core fusion architecture with two performance cores that are up to 15 percent faster, four efficiency cores that are up to 50 percent more efficient, a four-core GPU that is up to 50 percent faster, powerful Apple-designed Image Signal Processor (ISP), video encoder and more. The iPhone XS offers 30 minutes longer battery life than the iPhone X, and the iPhone XS Max should last up to an hour and a half more battery life than the X. The improved back-facing dual lens camera on the XS and XS Max offer capabilities like advanced depth segmentation using the Neural Engine, Smart HDR creating photos with high dynamic range and great image detail, advanced bokeh quality in Portrait mode photos and dynamic depth of field that is user adjustable in the Photos app. Both devices will be available with 64GB, 256GB, and 512GB storage capacities, and will be available in Silver, Space Gray, and Gold. Pricing for the iPhone XS will begin at $999 for the 64GB model, and iPhone XS Max pricing will start at $1,099 for the 64GB model. Pre-orders for both iPhones will begin on Friday, September 14, and will hit stores on Friday, September 21 in over 30 countries and territories.